On June 10th, Abby encountered some rough weather that made it necessary for her to end her trip. She was rescued and thankfully is home safe and sound. Read more about her rescue and the days following on Abby's Blog. The E3Live® family applauds Abby for her courage and wonderful spirit and we know she will be onto new adventures in no time, we look forward to seeing what's next for Abby! Learn About Abby and her quest to become the youngest solo circumnavigator! Abigail ("Abby") Sunderland turned sixteen in October 2009. To the outward observer, she is a seemingly cleancut, All-American girl...the second of seven children. But inside of Abby, a passion burns. 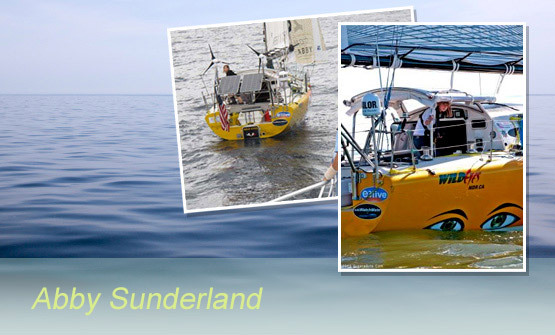 Since becoming a teenager, she has had her sights set on making history as the youngest person, male or female, to circumnavigate the world. Not only does she plan to accomplish this feat alone and unassisted, she plans to do it without once taking refuge on land. 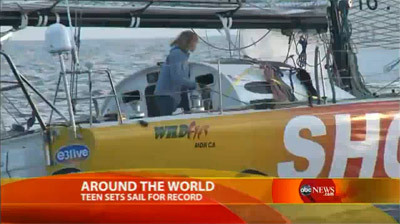 Aboard an Open 40 racing sailboat, Abby will embark on her voyage in January 2010 from Marina del Rey, California. By June 2010, Abby plans to have made history. Abby carefully planned out all the supplies and food that she would need on her trip — hoping to make as few stops as possible and making the most of her limited space on board. 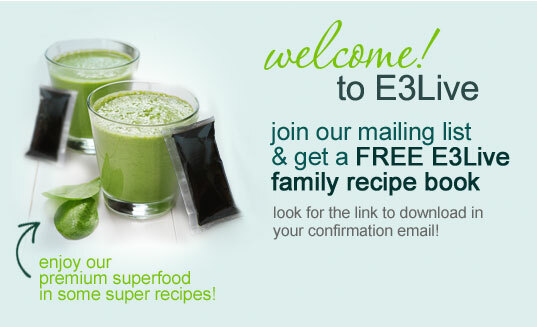 We sent her off with a care package to help support her on this amazing journey — including E3BrainON, E3AFA, E3 Enzymes Supreme, and E3 Renew Me! Total Body Blend. These specific items will give her superior nutritional support as well as supporting her mental clarity, healthy flexibility in her joints, immune and digestive health, and endurance and stamina. We want her to have the best support body & mind possible to keep her fueled for her trip. We wish Abby good luck and safe travels!